Captain Beefheart’s Trout Mask Replica is 50 years old and Getintothis’ Jono Podmore explains why we need this utterly unique and imaginative album more than ever. Although 50 years of cultural upheaval and development have passed since it was released; the energy, audacity and imagination on Trout Mask Replica have yet to be surpassed. It’s a peculiar and wonderful record in many ways and could really only have happened, at least with any cultural impact, in the way it did in the late sixties. Due in part to their business-friendly racial advantage, these British artists were soon outselling American acts on their own turf, so in response the major labels were out to sign white American blues artists. In 1966 A&M Records signed Don Van Vliet as Captain Beefheart and his Magic Band, largely on the basis of his convincing Howlin’ Wolf impersonation. Sticking with the plan, they had a minor hit with Bo Diddley‘s Diddy Wah Diddy later that year, but the demos for the first album Safe as Milk were “too negative” for A&M. It was apparent that there was more to Beefheart than pastiche. He was, along with others in the American white middle-classes, tuning in to some quite different aspects of African-American music than the blues. Consequently the band were dropped by A&M and, after some wandering in the wilderness, were picked up by Frank Zappa for his (at the time penniless) independent label Straight Records. Social change was everywhere, revolution was being openly discussed, new ways of seeing and thinking were embraced, America was waging a doomed war in Vietnam. Every aspect of the old order was to be questioned, and musicians like Beefheart were delving into the corners of African American music to look for answers. Ornette Coleman‘s Free Jazz had been around since 1960, John Coltrane was exploring similar freedoms, and Sun Ra‘s cosmic approach to composition, musical (and social) organisation were beginning to filter through. For Beefheart there were sources beyond music. Throughout his life he’d been as much a visual artist as a singer and poet, initially a sculptor and towards the end of his life exclusively a painter, so conceptual approaches in visual art and literature were ripe for the picking: Dada and Surrealism, collage, cut-ups, aleatory processes etc. The guitar duet Dali’s Car is a direct reference Salvador Dali‘s sculpture Rainy Taxi, and surrealism in general plays a strong role. There’s reference to the classical music avant-garde of the time too, quoting Steve Reich‘s Come Out on Moonlight on Vermont. 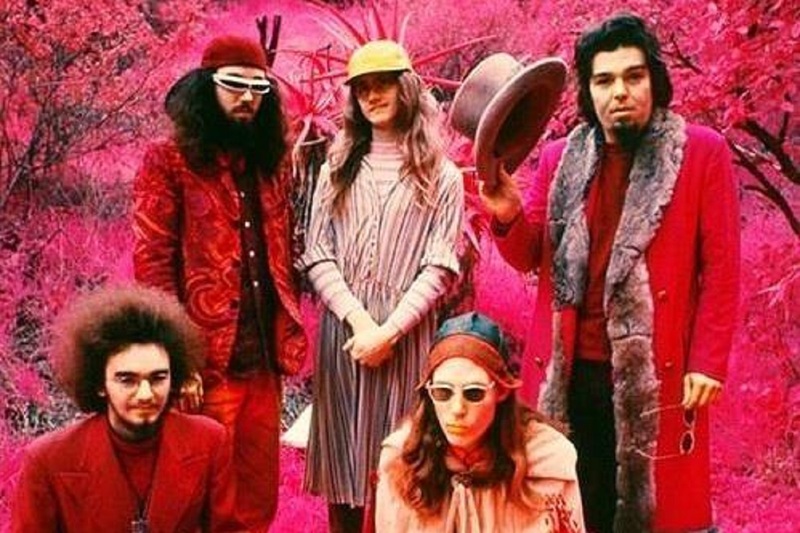 By 1968 and with two albums already behind them, this was the cultural background in which Captain Beefheart and his Magic Band began work on the third and defining album, Trout Mask Replica, to be produced by Van Vliet‘s old school friend and now label manager, Frank Zappa. Zappa‘s biggest contribution to the album was to give Beefheart complete artistic freedom – which he exercised to the full. The working process defines the album. The band hid away together in a small house in LA for 8 months, living communally and working on the album daily, until, in March 1969 it was time to record. 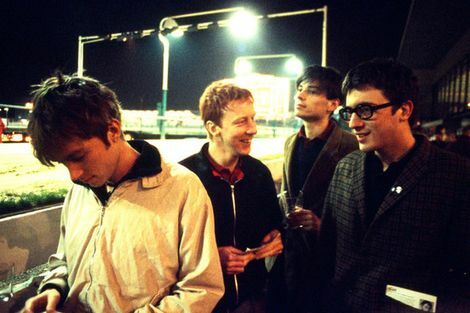 They were so meticulously rehearsed that the instrumentals for the double album (20 tracks) were recorded in a single 6 hour recording session. Anyone who has ever worked in a recording studio in any capacity will tell you that work rate is astonishing enough, but if you take into consideration the complexity of the music it seems almost superhuman. In fact, it is the result of a cult-like 14-hour a day rehearsal regime in the house. The band were highly trained, but starvation rations of a cup of soy beans a day for months at a time (there was no advance from Zappa‘s deal) and regular psychological abuse from the erratic and controlling Van Vliet left them in poor mental and physical health. At first listen, many of the more complex tracks on the album, like the opener Frownland, appear freely improvised: random and uncoordinated. In fact this is the result of astonishing discipline – the duality of appearing free though enormous restriction. The piece is composed to a high degree of detail and meticulously rehearsed. Beefheart composed each track in its entirety by playing short repeated patterns: the melodies, chords, and rhythms, on the piano (an instrument he had never learned to play) and recording them on to tape. The band would then adapt them to their own instruments and learn them as parts and play them together. This means that most of the music is polytonal and polyrhythmic. In a traditional piece of music the various parts that play together are written in the same key, tempo or time signature: they are tonal and rhythmic in relation to each other. What makes most of the tracks on Trout Mask Replica polytonal and polyrhythmic, is that each of the parts are in their own key and rhythm, superimposed on one another. That’s complex and bewildering enough, but the sheer number of tiny parts that autonomously shift across each other make this music almost incomprehensibly dense at times. The overall feel is relentless and anarchic. The complexity and the discipline to sound random ultimately has the pay-off that it can turned on and off. So, suddenly in the chorus of Ella Guru (for example) the band locks step in the traditional sense. This moment of crystallisation is as bewildering as the chaos either side of it. By the same token it’s possible to lurch the other way into completely free improvisation. Free jazz saxophone and bass clarinet also spontaneously appear. The instrumental Hair Pie: Bake 1 follows a weird trajectory from completely free impro, through polytonality, a tight rhythmic pummelling, leading to a field (bush?) recording of Van Vliet chatting to a couple of kids on the street with dogs barking in the night. Above and beyond the composition itself, these recordings made at breakneck speed also produce a very special snapshot of a time and place. They capture the atmosphere; the characters and personalities, which is a big part of what we respond to in the music. 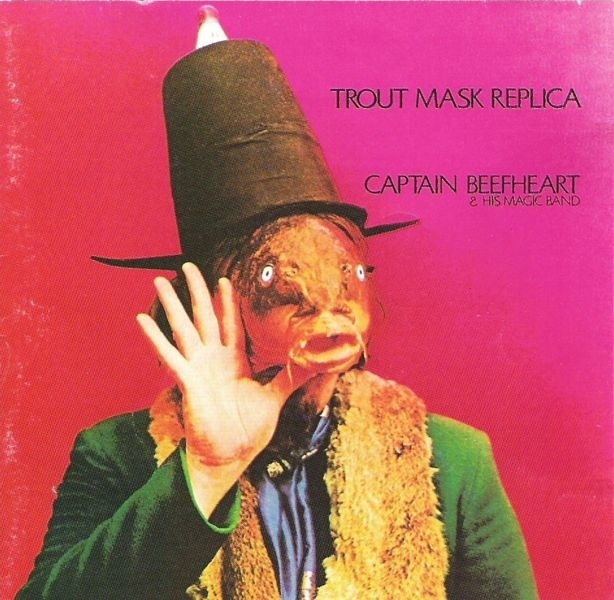 Trout Mask Replica oozes the creative atmosphere of the time – a very special and unique flavour, at times unashamedly captured with lo-fi mono cassette recordings (China Pig), exaggerating the homespun flavour. The vocal tracks range from solo blues like Well, up to complex, polytonal and theatrical songs like Bill’s Corpse (‘You couldn’t have done this if you knew what you were doing’). But despite the range and the sound of the vocal, the performances are all about the lyrics. Rural American imagery with borrowed African-American delivery reconfigured with Joycian wordplay and the surreal, banter-based in-jokes that come from putting a small group of young men in the same space for too long, with or without the acid, weed, booze or whatever else was available to the Magic Band. It’s this combination with a little lofty lyrical cleverness that lends the fast and bulbous “comedy” aspect of the album enough seriousness to avoid the teenage, indulgent, one-off-gag nature of so much of Zappa‘s work. Once you get the joke with Zappa there’s no need to hear it again – Beefheart is never throwaway, even at his most ostentatiously silly. There’s also a peculiarly American cartoon feel (‘The blimp, the blimp, the mothership!’) that also manages to stay on this side of the one-off-gag, like a Robert Crumb or Freak Brothers strip. A lot of resonance exists between Beefheart and James Joyce. It may seem like a comparison too far, but the collage technique, the use of homely, bucolic settings contrasting with uncompromising artfulness, the concentration on the sound of the words stripped of their meaning, are all too strong to miss. Then there’s the effect on the listener/reader. Two hours of Trout Mask Replica leaves you in a pretty similar mental state to two hours reading Finnegan’s Wake. A kind of confused, airily-enlightened openness that only exposure to truly complex absurdity can give you: a feeling that anything is possible, that all combinations are viable. This is the complete antithesis to the mental state that contemporary pop music delivers. The charts are now little more than a conspiracy of mediocrity and lumpen blandness. Risks are no longer taken, neither by companies nor artists, leaving us with reality-show ordinariness elevated to art, a safe-bet “Celebreality”. Which of these looped and bearded non-entities that infest our culture would have the courage, the soul, the sheer character to sing the Dachau Blues? Which is why we need Trout Mask Replica more than ever. The album’s influence continues to rumble on down the ages: in the twisted Americana of The Birthday Party, the mainstream comfort of Tom Waits or the collages of John Zorn, but more subtly in the work of thousands of artists who turn to Trout Mask Replica when they’ve run out of ideas, or when they need to find that little bit of courage to go beyond the bland conventions of our current musical culture. If you need some fresh air – you know where to look: 50 years in the past.